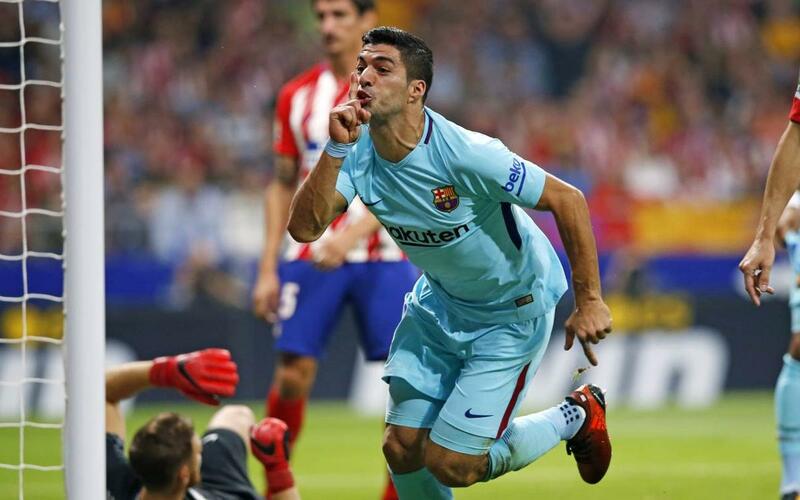 FC Barcelona’s closest rival for the domestic crown this season, Atlético Madrid, fared well on Saturday, winning its game by the minimum and allowing it to keep pace with this season’s runaway leaders, who remained nine points clear in the La Liga standings after beating Real Sociedad, 4–2, on Sunday night. But that lead had provisionally been trimmed to six when second-place Atlético Madrid won on the road at Eibar, 1–0, on Saturday afternoon in the Basque Country. Atlético’s French striker, Kevin Gameiro, scored the game’s lone goal in the 27th minute to bring Los Colchoneros to within a half-dozen points of Barça's lofty La Liga perch. Real Madrid, meanwhile, which found itself in 4th place in La Liga and a stunning 16 points back of leaders Barça before Saturday’s home tilt versus Villarreal, fell 19 points behind the Catalans over the weekend. Manager Zinedine Zidane and his men were unable to find the net against the Yellow Submarine, falling 1–0 in a cold, steady rain at the Santiago Bernabéu. The match appeared headed towards a scoreless stalemate when an 87th minute strike by Villarreal's Pablo Fornals broke the deadlock. In other La Liga action, Valencia held on for a 2–1 victory at Deportivo, and remain 11 points behind Barça. Gonçalo Guedes and Rodrigo staked Valencia out to a two-goal lead with less than a half hour to play, before Florin Andone's 88th minute strike pulled back a late goal for Depor. Elsewhere in Spain, Barça’s Copa del Rey quarterfinal opponent, RCD Espanyol, drew 1–1 with Athletic Club Bilbao on Sunday afternoon. Gerard Moreno's 29th minute strike gave Espanyol the lead, but it was cancelled out six minuted later by a goal from Athletic's Iñaki Williams. Meanwhile, about a thousand miles north of balmy Barcelona, in chilly London, Chelsea FC — which will host Barça in the first leg of the UEFA Champions League last 16 in late February — played to a scoreless draw with visiting Leicester City. The Blues — despite playing a man up for the final 22 minutes of the game in the wake of a 68th minute red card handed to Leicester’s Ben Chilwell — were unable to find the net and had to settle for a single point that provisionally leaves them third in the Premier League pecking order, five weeks out from their Champions League tête-à-tête with FC Barcelona.